A sound bar with a legendary audio heritage. Bluesound may be a relatively new name to the audio world, but their roots go back over forty years in the home audio arena. Lenbrook of Canada is the parent company of two world renowned audio brands: PSB and NAD. Since the early ‘70s, both of these iconic brands have created products that continue to win awards for producing the best sound for your money. From the original NAD 3020 to PSB speakers, these two manufacturers continue to push the envelope. 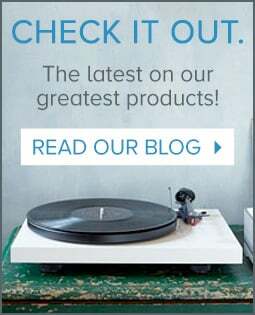 About five years ago, Lenbrook merged the expertise of PSB speakers with NAD electronics and entered the streaming music category with the introduction of the Bluesound product line. As you would expect, the results were spectacular. At CES 2016, we met with Paul Barton, founder of PSB and designer of the speaker found in the Bluesound Pulse Soundbar. He was kind enough to personally give us a demo of the prototype Soundbar. 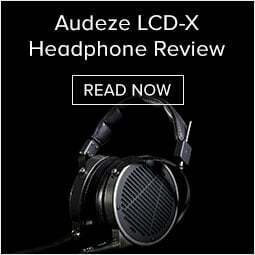 We were super impressed with its sound and could not wait to test it out. Eleven months later, we finally had one to check out in a real home environment. The Pulse Soundbar is designed to provide an improvement to the puny speakers that come inside most TVs. In addition, it gives you access to your own music library and a world of streaming music services. It is totally self-contained, so all you need is a connection from your TV and a wireless network, and you will be up and running. The Pulse Soundbar is 42” wide and under 3” deep, which made it a nice match to the 55” Sony TV we tested it with. The slightly rounded corners and perforated metal grill give it a cool look. It is designed to mount to a wall, attach to an under TV Soundbar bracket, or sit on the same piece of furniture as your television. Everything is included in the box. Bluesound even developed an optional universal TV stand to raise up your TV to clear the 5 ½” height of the Pulse Soundbar. We did have one bit of criticism if you are using an under TV bracket. The wall bracket is designed to lock into the back of the Pulse. To get this to work, you have to tilt the speaker in a way that makes it impossible to get it flush to the bottom of your TV. We just couldn’t seem to get it to drop into the bracket with it tilted. Eventually, we figured out a workaround -- by lowering the under TV brackets, mounting it, and then raising the brackets, we were able to get it to work. While this isn’t difficult to do, it’s also not intuitive. Hopefully, by providing this solution for you, we can save you some head-scratching. The build quality of all products from the Lenbrook group are first class, and the Pulse Soundbar is no different. The fit and finish are exactly what you would expect from a product pushing the $1,000 envelope. The Soundbar weighs in at 15 pounds and sports 6 drivers with a Direct Digital Amp DAC -- straight from the NAD playbook. We could not wait to set it up and test it. In preparing it for listening, we also discovered some really cool features! Like most well-designed Soundbars, Bluesound wants you to do all of the video switching on your TV instead of having to use multiple remotes and devices. Simply connect it to the TV with the optical audio cable. In addition, it has a legacy RCA audio input and an input for a USB stick. The USB stick is a nice thought, but it’s located in the back, so it’s not the most convenient input if your Soundbar is mounted. We recommend using WiFi, or the included Bluetooth aptX to send your music over. You’ll also find an ethernet port and a subwoofer out if you have an existing subwoofer you’d like to use. If you opt for the Bluesound Pulse Sub, it will connect to the Soundbar wirelessly. The Pulse Soundbar works well on its own or as a part of a whole house music system, working with the other Bluesound wireless components. Bluesound has a great app for setting up your speakers and streaming all of your favorite music. The user experience is simple and the learning curve is minimal. It only takes a few clicks to get everything working once you’ve found the Soundbar on your WiFi network. You can even sync your TV remote so that it controls the volume and mute on the Pulse Soundbar! When you open the app, you can tell the unit if you desire TV viewing, music, or movies. We absolutely love the settings option that allows adjustment of the surround effect, dialogue enhancement, late night mode, deep bass, and best of all, Lip Sync. If you’re watching TV and the lips seem out of sync with the sound, this option will allow you to fix it on the fly. We can’t wait to test it out with the sub and play around with the delay on the sub to fine tune it to the Pulse Soundbar. Finally, you have bass and treble adjustments. Unlike many of the other streaming players on the market, Bluesound has created an ecosystem capable of playing back high-resolution audio files up to 24/192. They were also one of the first to implement MQA, a soon-to-be-released system that allows music companies to stream high-resolution audio files without eating up a ton of bandwidth. Bluesound offers access to most music services, including Tidal, Deezer, Spotify, Napster, TuneIn, Slacker, HD Tracks, and Radio Paradise. As of the writing of this review, Pandora is not an option. In our opinion, though, Pandora has a pretty limited library, and there are plenty of other options. We already had a Bluesound component setup in our testing environment, so adding the Soundbar to the system was a snap. For our test, we listened to the Soundbar by itself -- no sub. Sources were Tidal streaming in High-Resolution and a 4K Roku player. We used some of our old standards and a few new pieces to test out the audio. The first cut was the classic, “Pink Houses” from John Mellencamp’s 1983 Uh-Huh album. This song has a bass line that can be somewhat hard to follow. You could clearly hear even the bass note tones fade away here. Turning on the deep bass eq made the bass line even easier to hear. Next, we went back to an old favorite, Jimi Hendrix’s “All Along the Watchtower.” We thought it would be fun to experiment with the different wide settings to see if his guitar would get thrown out into the room. We concluded that music sounds best with wide turned off. It became a little screechy to us with wide turned to its max setting. Although, the sound was pretty amazing for an all-in-one, $1,000 unit. Next, we used Bruno Mars & Mark Ronson’s “Uptown Funk” to see if the Soundbar could fill the room with dance music. Again, we were pleasantly surprised at the performance for what it is. The deep bass notes were very clear, and the music filled our large testing room with sound. We are looking forward to running this same test again with their sub added for even more punch. Next was our “British TV dialogue” test. We enabled TV mode, which turns on “dialogue enhance” and sets the “wide” setting to the middle. Hearing the nuance of voices can be difficult, especially for all-in-one speakers like soundbars. Our favorite tests for this are shows where the characters have heavy accents. This time we used Paranoid (which, by the way, is a great murder mystery on Netflix). This particular show has both British and German characters. No need for subtitles with the Pulse Soundbar; it passed with flying colors! We also found “late night” mode to be pretty cool. It is designed to reduce the bass and make the dialogue easier to understand. During our testing of Paranoid, we turned the volume way down, and setting to “late night” was a big improvement if you have it so quiet you are straining to hear things. We then tried a couple of action clips to see how the Pulse Soundbar would do with big explosions while still keeping the dialogue intact, and once again, it performed really well. Being able to fine tune all the settings turned out to be educational and a lot of fun.We think you will like music best in Music mode with all of the enhancements turned off. If you want to get more bass, feel free to push the “deep bass” button. For TV, we preferred the default “TV” setting, and for action movies, we liked the default settings achieved with the “movie” setting. Finally we tested several 24/192 albums on our NAS drive. These albums were streamed wirelessly to the Pulse Soundbar. We never had a single drop out, which is saying a whole lot. 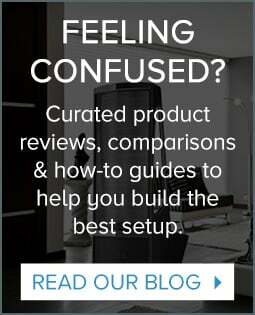 When the Bluesound products first came out, we had tested the same thing on some of their wireless speakers and did not have as much success, so the team at NAD has obviously stepped up this circuitry. A Soundbar is a great solution if you do not have the space or budget for a real speaker system package and surround sound receiver. They offer a lot of bang for the buck and have everything in one box, keeping wiring to a minimum. 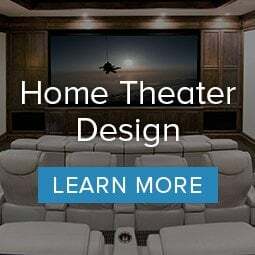 If you want really great audio performance, however, a system consisting of a dedicated center channel speaker, left and right speakers, and a surround sound receiver will typically deliver a better performance. With that in mind, if you only have room for a Soundbar and want to get the best sound possible in that limited space, we can not think of a better Soundbar than the Bluesound Pulse model. You can use it to get all kinds of music, add other Bluesound players for a whole-house music system, and we just love all the adjustments to allow you to fine-tune it to your liking. As just a TV Soundbar, it’s well worth the price, but when you consider all of these other options, it is an outstanding value! Paul Barton, the founder of PSB speakers, is a world-renowned speaker designer. The audio quality the Pulse Soundbar produces is just staggeringly good for its modest size. Stream hi-res audio all over your home; including your TV system with Bluesound. You'll get 24 bit, hi-res capable sound with bass from the Soundbar that rivals some subwoofers. The Pulse Soundbar can be your home theater hub, music streaming source, and playback via Bluetooth. This super flexible array means it will be all you need for years to come.